The dream is profound — a global company united by one language. Employees communicating freely with one another across border and culture, improving productivity and sharing of ideas. The reality, however, is quite a bit messier than the dream. But that doesn’t stop CEOs from dreaming. Such as Hiroshi Mikitani, the CEO of Rakuten, Japan’s leading ecommerce company (and one of the largest by revenues globally). 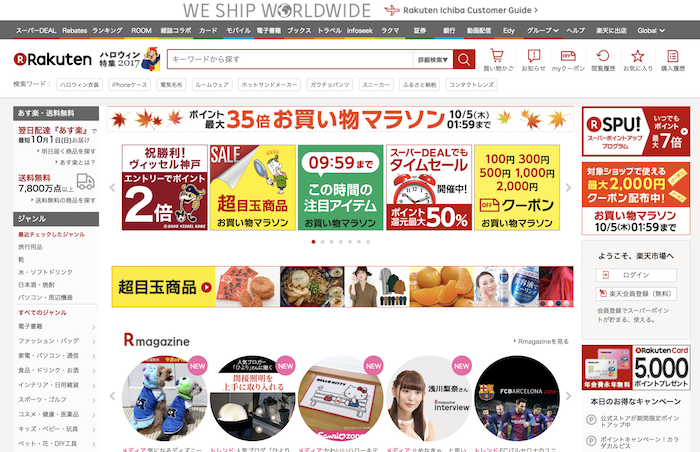 Here is a screen shot of the Rakuten Japan home page. The company is often referred to as the Amazon of Japan. In 2010, Mikani announced that the company’s 10,000 employees (90% of whom were Japanese) would transition to English over the next two years, beginning that day. 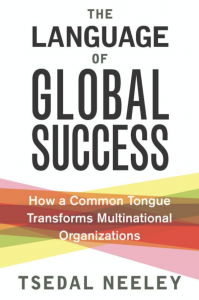 Professor Neeley had a front-row seat to this massive transformation, covering it over a period of five years, resulting in The Language of Global Success. If you have any interest in the globalization of companies, this book is an absolute must read. Neeley had full access to Rakuten employees. She conducted surveys and interviewed staff in Japan as well as parts of Asia, Europe, the US and Brazil. And she has spent many years studying not just Rakuten but other English-only multinationals, such as Siemens and SAP. But the Americans eventually realize that a common language comes with unexpected challenges. As the Japan HQ becomes more English-literate, it is better able to translate its corporate culture (and rules) to all local offices. Eventually, a phone-book-sized employee manual arrives in the US office, detailing such requirements a wearing your ID badge in a specific location at all times. One can imagine how the American employees felt when they were faulted for employee badge infractions, something trivial to them but not at all trivial to HQ. Cultural expats: Employees who may be fluent in English but lost within this new global (Japanese) corporate culture. Dual-expats: Employees who are not native speakers of English nor native to Japanese culture, such as employees in Europe. Dual expats turn out to be the best positioned to adapt to the new “global” culture. After all, they were dealing with a mixture of languages and cultures from day one and felt no loss of status or control along the way. The choice of language is both obvious and contentious. English has become the informal second language of the world, but it’s important to differentiate between language and culture. Just because Rakuten chose the language didn’t mean the CEO wasn’t also choosing American or Western culture. Though he was clear that he hoped there would be a change in corporate culture within Rakuten (less conformist, more entrepreneurial), which I’m not sure occurred. By the end of the book, Rakuten is still very much a Japanese company, but one that speaks English. And I would suggest, in the interests of fairness, that native-English speakers be required to pick up a second language. Perhaps Spanish, for the American office. Doing so would send the message that English isn’t the “best” language, simply the most practical for a global company. If your CEO isn’t fully committed, forget it. There is no doubt that had Mikitani-san not pushed and pushed during the transition that this effort would have been a failure. It’s not simply a matter of sending out a memo. The CEO offered to train employees himself at one point. A common language is not the same thing as a common culture. In fact, a common language will illuminate cultural challenges to a degree not before fully seen or understood. Cross-cultural training should also be included with language training. People need to understand the differences between collectivism cultures (such as Japan) versus individualism cultures (such as the United States. Employees must have a shared vision of becoming a global company, no longer an assortment of local companies. The bottom line: Was it worth the trouble? The CEO says it was, and many employees agree. But productivity suffered along the way. And one could argue that Rakuten did what was inevitable for any global company. The company has grown over the past five years and is better positioned now to recruit global, English-speaking talent. And the cross-fertilization of ideas between different geographies is now evident, a big plus, and perhaps the greatest upside of all.